Where exactly is the heart of the piano? 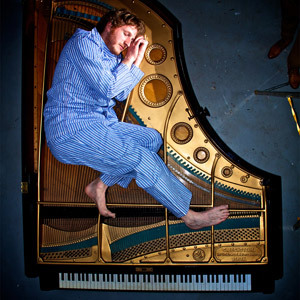 Part piano recital, part fantasy lecture, pianist and entertainer Will Pickvance presents the physical, emotional and spiritual anatomy of the piano, with stories about, songs around, the playing on and the dissection of, a piano. The relationship between piano and pianist: both equally temperamental, both largely redundant without the other. A chance to see pianistic expression alongside PowerPoint, live animation accompaniment alongside piano post-mortem, all played out within the charming Victorian Anatomy Lecture Theatre. "Very funny, this man is the Will Pickvance of his generation." "exquisitely charming and woozily surreal one man show"
"…at times it’s better than Minchin"